With two snow days and a quieter week, this was a GREAT week of reading. It also helped that I had some great reads! Wow, I found myself (enviously) counting the number of books you got through last week. Very impressive!!! I hope you'll be reviewing Mademoiselle Chanel. I'll be looking for it. 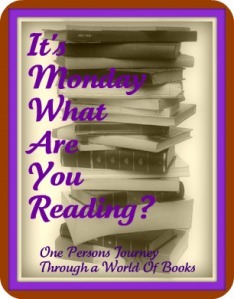 Amazing how much you read this week! Wow! You had a productive reading week last week! I'm currently reading Mademoiselle Chanel, so I'll be interested to see what you think of it. I read The Mystery Writer's Cookbook this week too. There were a number of recipes I wanted to try. Our weather was cold but we didn't have any snow. In contrast, this week is going to be 20-30 degrees warmer each day. Can't wait! Come see my week here. Happy reading!